Come participate in our Yu-Gi-Oh! 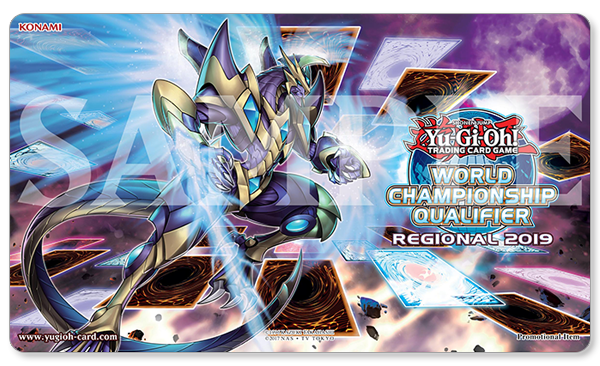 WCQ Regional held on May 11, 2019. Player attendance will be capped at 200 people. Registration ends at 9:45 AM* with the main event starting at 10:00 AM. *Players may register after 9:45 AM receving a round 1 loss. Please have Decklist, Registration Slip completely filled out along with a picture I.D. and COSSY ID. Side Events - $12 (receive 3 booster packs) - WIN A MAT! FREE PARKING in downtown Catskill on the weekends, with two municipal parking lots only two blocks away.